Without Wren Cath is completely on her own and totally outside her comfort zone. She’s got a surly room-mate with a charming, always-around boyfriend, a fiction-writing professor who thinks fan fiction is the end of the civilized world, a handsome classmate who only wants to talk about words… And she can’t stop worrying about her dad, who’s loving and fragile and has never really been alone. Honestly, I hadn’t even heard of this book before last week. I missed all of the hype, randomly picking up my copy of Fangirl while browsing my local bookstore. Finding out later that it was apparently the new bible of YA upped my expectations, but I can safely say that it delivered on them. I was left clutching the book for hours, never wanting it to end. With an abundance of disdain towards socialising and her passionate fanfic enthusiasm, Cath is one protagonist that you just can’t help but love. If I could live inside this book, I would. I think I love contemporaries now. They’ve been growing on me recently, but Fangirl won me over. There was no adjustment period with this one. From the start, I knew this was special. Or maybe that was just Levi working his magic (more on Levi to come). One thing I think needs mentioning is the illustrations inside the cover of each of the characters. I thought they were a nice touch. I kept finding myself flipping back just for fun. Why don’t more books do this? Then again, if they did, it probably wouldn’t stand out as much. Set at the beginning of Cath’s freshman year of university, I felt like her path was my own. Sure, I don’t have a twin (or a Levi) and I did my degree off campus, but I could see my younger self reacting similarly. I think that’s where the book’s strength comes from—the way it’s so easy to connect with Cath. The struggles she went through adjusting to a life separate from her sister, Wren, and the ways she tried to cope had me hugging the book and grinning at the same time. Bunkering down in my room with a box of leftover protein bars instead of seeking out an unknown cafeteria on my own is exactly something I would have done. Getting to know the new people in Cath’s life was a gradual process. Focussed on writing her fanfic and worried about the wellbeing of her party-loving sister and her sometimes manic father, it was completely understandable Cath’s not wanting to make friends. Unfortunately for her, the people around her didn’t give her much of a choice. There aren’t that many side characters in the story, but the ones that are there make enough of an impact in Cath’s life. In fact, they pretty much take over it. The roommate, Reagan, was a perfect mix of snark and don’t-let-anyone-know-that-I’m-actually-caring. 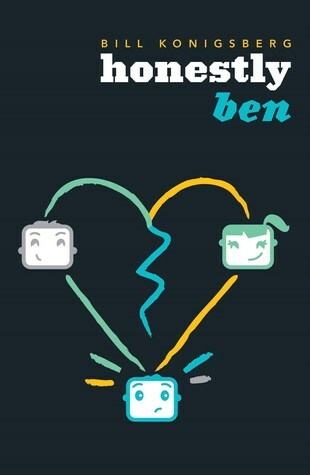 Nick, the writing partner, pushed Cath’s writing buttons and acted as a sort of semi-love interest, but not. While Levi…he deserves his own paragraph. Actually, he deserves his own book. Oh, to know what goes on in his head. Always smiling, always trying to work his way into Cath’s life, to nudge back her walls, Levi was a bundle of sincerity that I find very rarely appears in love interests anymore. He had his flaws, but thinking back over the course of the book, I can’t help but grin. He’s one of those guys that will do anything for anyone. But he will do everything for the people he cares most for. He’s the epitome of a nice guy. And to top it off, he likes fanfiction. Yes, Levi was magical. If I haven’t convinced you to read the book yet, I don’t know what will. The romance felt real to me. The characters felt real to me. And I wish it was. I forgot I was reading—it just had me hooked. While the romance was prevalent, I felt the story was more about Cath’s growth as a person. She didn’t become someone completely new, and I liked that. It felt like a natural progression of sorts. Dealing with her own family problems, her issues adjusting to university and her ongoing commitments to her very popular fanfiction really rounded out this book into an addiction that I hadn’t found in quite a while. 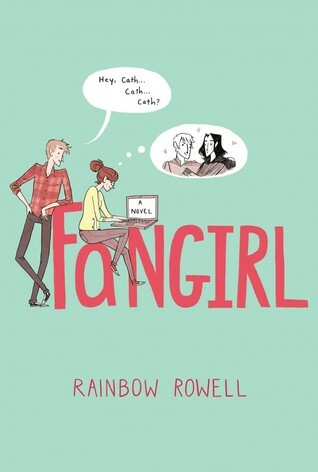 Seeing that this was my first Rainbow Rowell novel, I think I’m going to have to check out her back catalogue very soon. Listen to the hype and clear yourself a day for this one. Also, try and pick up a copy with the bonus Q&A in the back. You’ll definitely want to read it once you’re finished! I really want to read this one Brett. I am so glad you loved it. I’m sure I will too.